For the Bharatiya Janata Party (BJP) that is desperately trying to break new ground in Kerala, getting the vernacular media on its side is a task of paramount importance to the party’s political one-upmanship in the state. But the media in Kerala most of which historically had been at ideological loggerheads with the Sangh Parivar continues to maintain status quo. 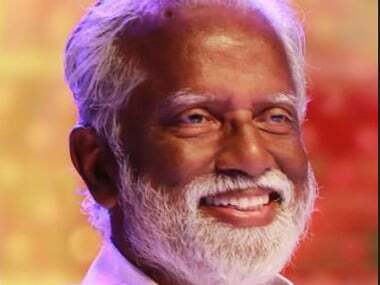 A week ago this coldness was once again strengthened when Mathrubhumi, a leading vernacular daily that also runs a news channel drew a cartoon of the BJP state president Kummanam Rajasekharan that was nothing short of what many would say “an outright racial abuse." 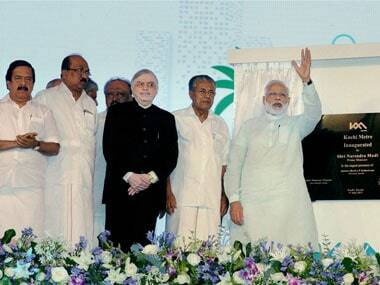 That Rajasekharan had become an element of ridicule over the social media after being wrongly depicted as a ‘gate crasher’ at the maiden metro ride taken by Prime Minister Narendra Modi in the company of the chief minister and the state governor on the occasion of the inauguration of the Kochi Metro, is understandable. But this was perhaps the first time that a Malayalam daily that has publications across the country drew a cartoon with racial overtones. The fairly dark complexioned BJP state president was drawn alongside Modi with the remark when translated reads – "In the Metro, Kummanamji becomes Modiji’s black cat" after depicting Rajasekharan in thick black colour. Following the protest by the state leadership of the BJP, the daily did take off the cartoon from its web page. But not a single journalist individually or the Kerala Union of Working Journalists (KUWJ) that makes statements at the drop of a hat, came forward to condemn what many scribes now feel as ‘shameful journalism’. But then perhaps the journalistic fraternity was giving back to the BJP in the same coin in which the party’s so-called intelligentsia had been attacking and insulting journalists who refuse toe the party’s ideological line over the social media. 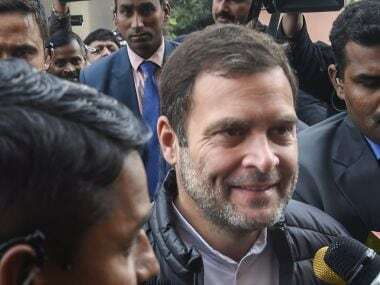 Certainly, the mainstream media and the social media had never drawn swords to such an extent with the BJP and its sympathisers at the crux of it. But senior BJP leaders in the state say it’s a worrying time. "This is the biggest crisis that the party is facing at the moment in Kerala to which we are yet to find a solution. There is no use hiding this. See it is understandable when the CPM’s mouthpiece does stories against us. But what about the rest of the media which can actually sway the minds of the people with such concocted reports. The party’s growth in Kerala has worried some and in every media house there is someone at some level who wants to portray us in a bad way," BJP state spokesperson MS Kumar told Firstpost. The BJP cites two instances from the recent past to show that the mainstream media in Kerala is certainly working against it. The first case was the notification of ‘ban on sale of cattle for slaughter’ issue by the Union government. Even when most of the nation got over the issue in a few days, the vernacular press in Kerala continued to not only report on the matter but raised the most farcical and non-existent question of how a government could ‘interfere with eating habits of people’ even as the notification had nothing to do with ‘beef-eating’. Even the visit of Amit Shah to the state was projected as an attempt to placate the minority community while neither the party nor Shah made even a comment about the notification during his visit. 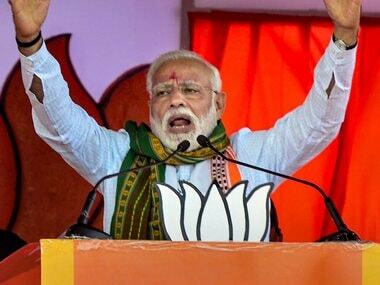 “The media knows very well that the Christian community is warming up to the BJP in the last couple of years and no way can the BJP advance in Kerala without their help. We strongly feel that twisting the cattle slaughter notification to look like a ‘ban on beef eating’ was an attempt to spoil this bonhomie that the party was enjoying with the Christians," said a senior BJP leader in the state. Secondly, the attack on CPM general secretary Sitaram Yechury in Delhi was not only blown out of proportions but also fixed upon the RSS with no proof to show. Even when the attackers at the AKG Bhavan shouted that they were from a little-known fringe organisation called The Hindu Sena much of Kerala’s media led by Deshabhimani the mouthpiece of the CPM cried in one voice that the “RSS had attacked the CPM general secretary”. BJP feels that in spite of many eyewitness accounts which clearly rubbished any physical attack on Yechury most of the journalists scripted the story to damage the party’s image. Also, the fact that Kerala was plunged into violence on the streets soon after the attack on Yechury goes on to show the impact television reporting and discussions have on the society at large. KVS Haridas is a veteran journalist who had been closely working with the Sangh Parivar to gauge what the media makes of them. He says the BJP’s record with the media in Kerala is still a dismal one because the party has still not understood how to do an image makeover in Kerala. “The BJP needs to understand that the situation in Kerala is entirely opposite to the rest of the country. If a pro-BJP or pro-Hindutva line is taken for any news hour discussion in any channel here, no one will watch it. At the same time, if it’s an anti-BJP line, the TRPs will shoot up. This is still the reality among viewers in Kerala which every journalist understands very well. So unless the party takes steps the status quo will never change," says Haridas. Many journalists like Haridas also say that the inability of the state leadership of the BJP to reach out to the mainstream journalists in a much more accommodative way is also a primary reason for this suspicion and mistrust still sticking around. “Post the 1980s during the tenure of KG Marar as party president, he used to reach out to even those journalists who reported against the party’s interests. Slowly things had become better for the party. This personal rapport is an essential for any political party. 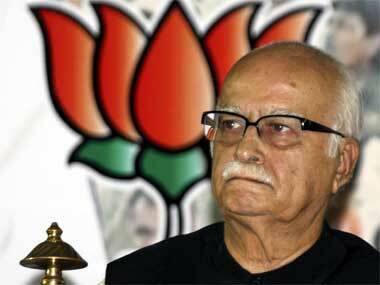 But this leadership has failed in it," said Haridas. Even when the BJP thinks the traditional media is against them what is perhaps costing the party dear is the vicious and dirty campaign unleashed upon journalists by a section who call themselves as the sympathisers of the party through the social media. Noted anchors of television channels have been at the receiving end merely because they had the gumption to discuss matters and create the ground for guests to express opinions that do not fall in line with the Hindutva agenda. The latest being the case of Manorama TV’s Shani Prabhakaran. Her continuous barrage of questions during prime time discussion had put two state BJP leaders in a spot and for that she had to pay a heavy price over the social media. From abusing posts to outright sexual taunts, Prabhakaran was put through tremendous stress by a cyber group called ‘Kavi Pada’, translated as ‘Saffron Army’. Last year in March, Sindhu Sooryakumar who is now the deputy executive editor at Asianet News, the state’s number one news channel in terms of viewership, had to pass through a more vicious campaign against her where she received close to 2,500 threat calls over a week. All this because she has discussed the then HRD minister Smriti Irani’s Parliament comments on Mahishasura. Though there was police action resulting in the arrest of a few alleged Sangh Parivar workers, the case is yet to reach anywhere. Even when the BJP claims it has had no role to play in such cases, it hardly expresses anguish publicly over such developments. In Sooryakumar’s case, her attackers were garlanded by Sangh Parivar workers outside the police station. “See I had told the BJP president then also that if it was not your party that was involved in this, why don’t u disown and condemn it in strong terms. You can also check whether I did anything wrong in that discussion. But no one responded to it. That’s how pathetic things are,’’ Sindhu Sooryakumar told Firstpost. But the top leadership of the BJP now says the party is indeed worried about the image wreck that it is suffering at the hands of those who are using the social media to attack journalists in their name. But it is a claim which many veteran journalists are not ready to buy into. "This is the same agenda of polarisation which the BJP used over social platform across India when they brought Modi to power. Surely they are hoping such social media blitzkrieg would work in Kerala too. But actually it is proving to be counterproductive which will hurt them in the long run," veteran journalist BRP Bhaskar told Firstpost. The BJP, after all, cannot wash off its hands entirely. Early this month, Mathrubhumi TV’s chief reporter in Thiruvananthapuram was in trouble over a comment he made against the RSS, minutes after the attack on Yechury. The reporter had commented on a WhatsApp group of journalists based in the capital city that “it should be reported that it was RSS who attacked Yechury and not anyone else”. The merits of his comments are debatable but what followed against him was a tirade by a little-known organisation of lawyers based in Kochi who filed a police complaint about inciting all the violence that shook Kerala post the Yechury attack, angering even those who had argued in the BJP’s favour all the while. It was later revealed that those behind the attack were indeed not the usual social media suspects but a highly organised intelligentsia of the Sangh Parivar headed by one of its senior ideologues in the state who even uses mainstream media to run such campaigns. The who's who of the Thiruvananthapuram media fraternity flocked to the BJP state president to register protest and convey the message that the party was indeed distancing itself from the media with such actions. But the BJP once again conveniently distanced itself from the whole incident as it had always been doing. “See there are elements which are doing this and causing a huge headache for the party. They have no mandate from the part. So there isn’t anything we can do,’’ the state president is said to have told the scribes. But the top brass in Delhi can hardly be in denial mode and sources say that a message has been sent across to the state leadership. At the national level, the party might have been taking extra efforts to keep the media in good spirits. But the state unit has only been successful in antagonising majority of the journalists for whom the BJP is still a party from the north of the Vindhiyas. Also the mouthpieces of the party in the state both at the print and television levels are hardly professional enough to raise the bar and get acceptance for it across the masses. Unless the party turns a new leaf in its relation with the very powerful vernacular media in Kerala, it would never be easy for the party to make a space for itself among the people of the state.